To search for any articles/subject matter, press “Ctrlf” (Control f) to get a search box on the top right of the screen, and then type in the information you need (i.e. 2016 or someone’s name). Recent articles now on top. 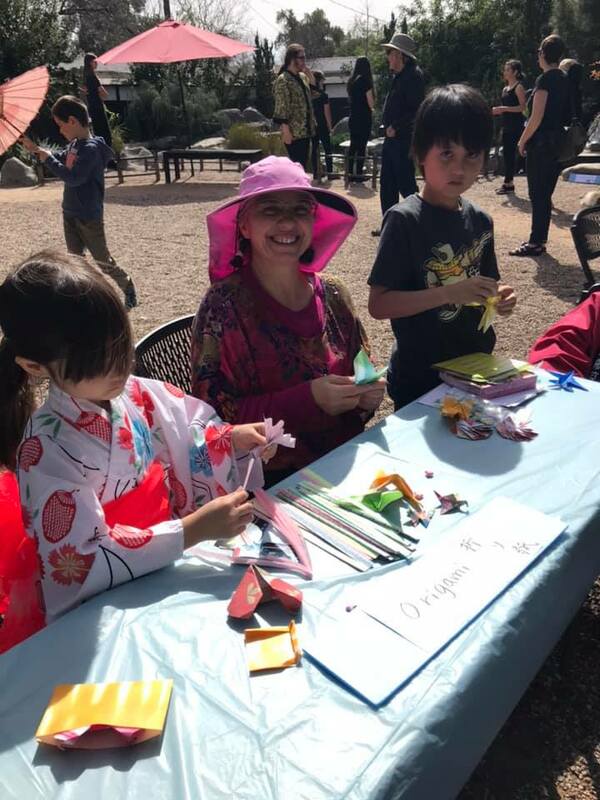 Yume Japanese Gardens (2130 N. Alvernon Way) hosted a Children’s Day celebration early on March 9, 2019. Usually this event is held on Children’s Day which is on May 5 of each year. 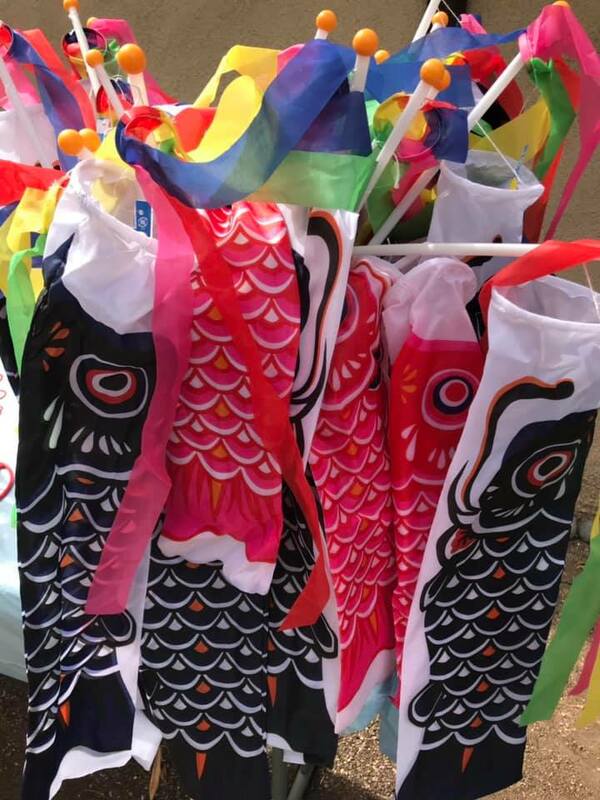 Various activities were held for children to participate in such as wearing yukata and hapi coats, origami folding, decorating a paper lantern, learning Japanese games such as hanafuda, kendama, ayatori, fukuwarai. Otaku Nation store had a table with Japanese items for sale, and the Takoyaki Balls food truck served takoyaki, curry rice, onigiri, okonomiyaki. 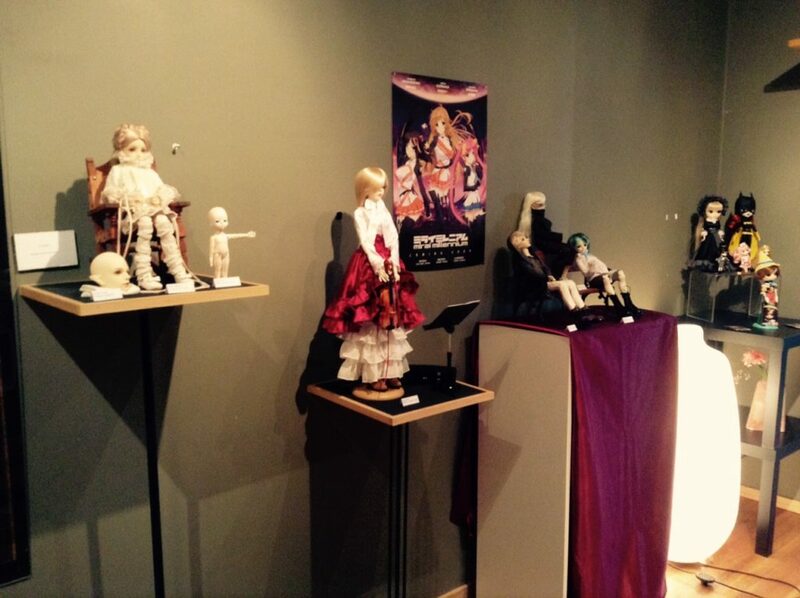 Calligraphy, anime viewing and a puppet show were also included with admission. 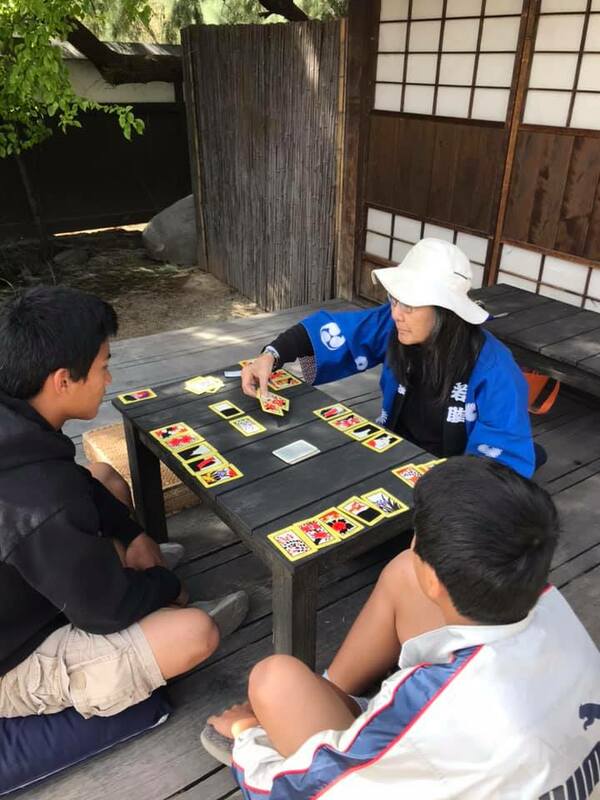 Carolyn Classen, SAJCC Editor taught the Japanese card game of hanafuda, while SAJCC Councilmember Miki Pimienta taught the other games listed above. 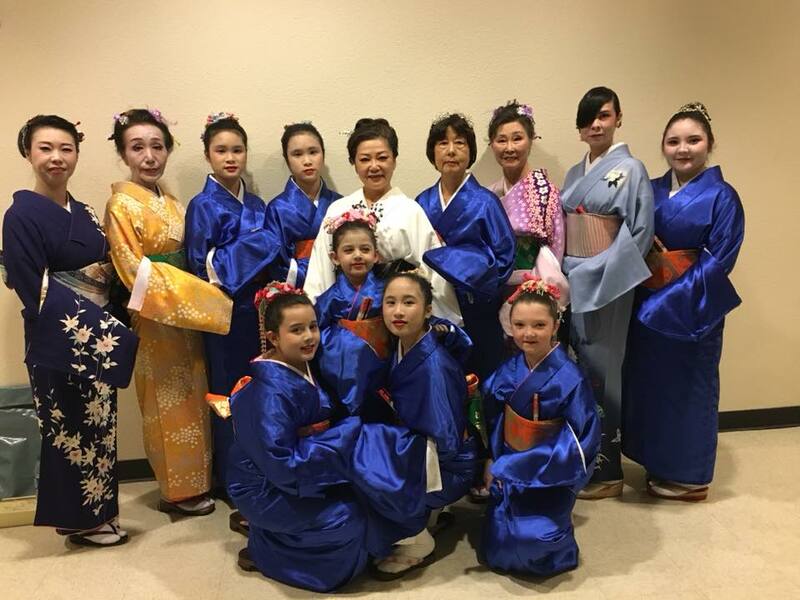 SAJCC Councilmember Miyako McKay helped dress the children & adults in the yukata & hapi coats. 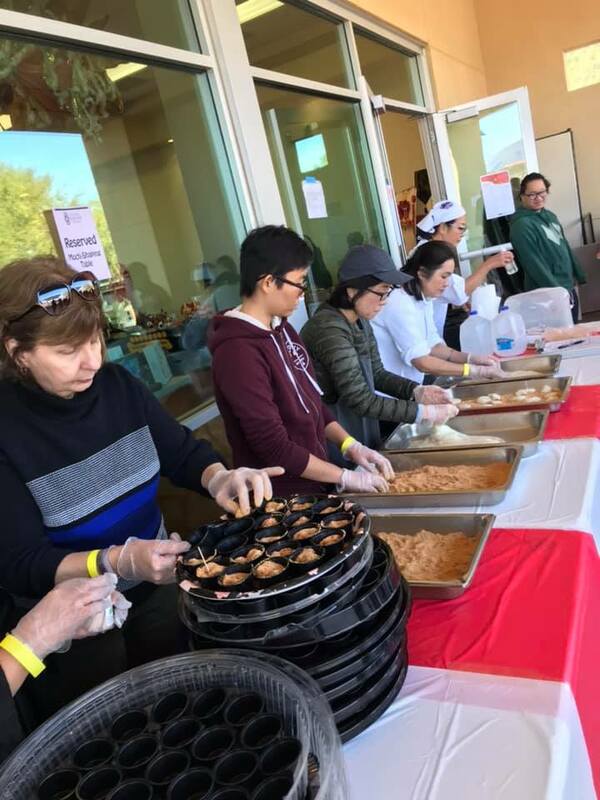 For the 6th year in a row, SAJCC hosted a New Year’s Tucson Japanese Festival on January 19, 2019 at the lovely Tucson Chinese Cultural Center, 1288 W. River Rd. Once again Japanese cultural activities,food, games, musical/dance performances, taiko drumming, martial arts was included in the day’s festivities. 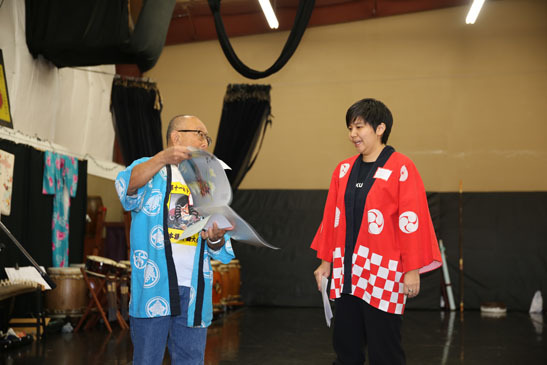 MC again was Louis Rivera, and Dr. Min Yanagihashi gave his talk again about the history of rice and mochi pounding. Photos below courtesy of M Fumie Craig, founder of Tucson Origami Club and one by Louis Rivera. Chair of the event was Sharon Arceneaux, who has been a volunteer for the festival for 4 years. 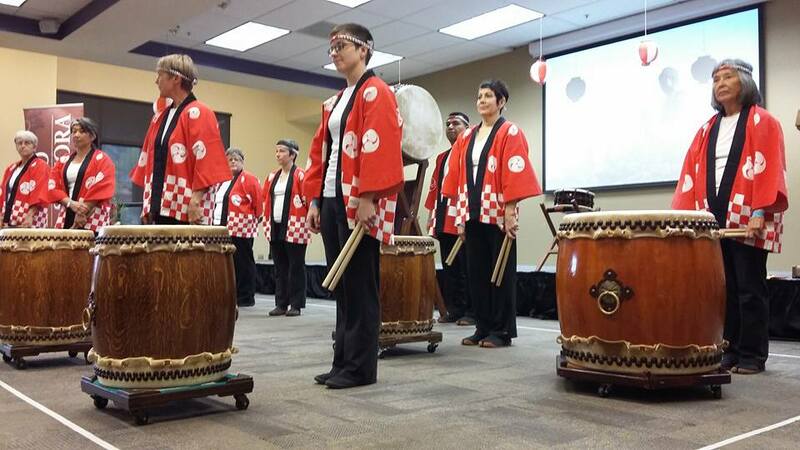 Co-host Odaiko Sonora performed on their taiko drums, Suzuyuki Kai danced a few traditional dances from Japan. There was martial arts demonstrations by Tucson Kendo Kai, Tucson Bujinkan Dojo, Bujinkan USA, Aikido Shoubu Dojo, and Aikido at the Center. Paul Amiel & Empty Bamboo Shakuhachi performed their flutes in the library. Origami was taught & folded in a dance studio, along with Go, kendama & furuwarai games, with kimono demonstrations & tea ceremony in another dance studio. 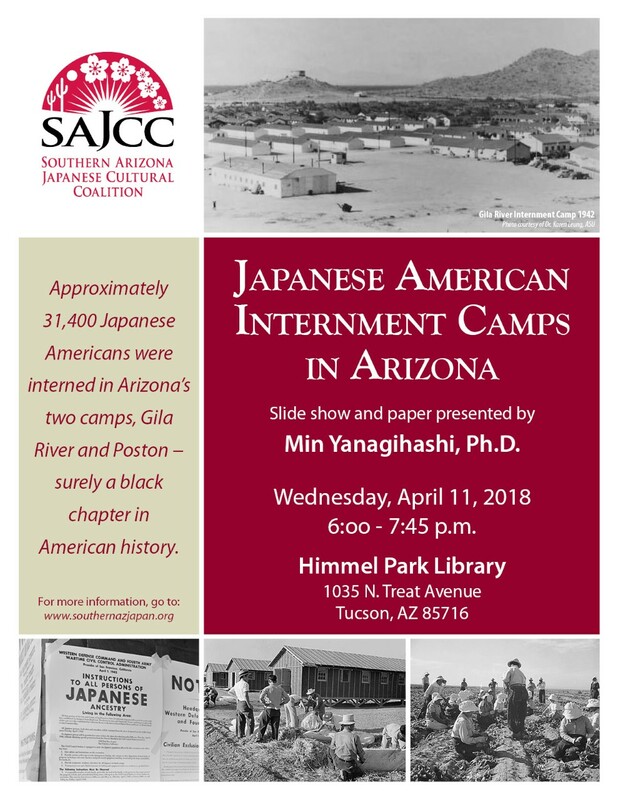 Retired East Asian Studies Professor Dr. Min Yanagihashi wrote a scholarly article on the two Arizona WWII Internment camps (at Gila River and Poston), and then presented his paper, with a slide show at a SAJCC sponsored event, at Himmel Park Library (1035 N. Treat Ave.) on April 11, 2018. Event flyer created by Crystal Akazawa posted here, as well as pdf of Min’s article, and two videotapes (taken by SAJCC volunteer freelancer James Tokishi). Water and Japanese snacks (senbei, arare) were provided by SAJCC with some donated by Kenji Azeka, with assistance of Evelyn Yanagihashi. Thanks to the PCC Asian Pacific Cultural Club who helped set up the chairs, serve refreshments, and clean up afterwards. SAJCC Council members in attendance at this event: Director Yuki Ibuki, Dr. Min Yanagihashi, Carolyn Sugiyama Classen, Evelyn Yanagihashi, Crystal Akazawa, K Negley, Ginger Sugimoto. Over 40 people attended this talk. For 5th year the SAJCC sponsored a New Year’s event (along with cohost Odaiko Sonora) now called the Tucson Japanese Festival (formerly called Tucson Mochitsuki) at PCC Downtown, 1255 N. Stone Ave. Musical and dance performances were held in the Amethyst room, delicious Japanese food (and samples) were provided, along with Japanese games/origami upstairs in the Campus Center building. Chair of the 2018 event was Suke Nakata and MC was again Louis Rivera. 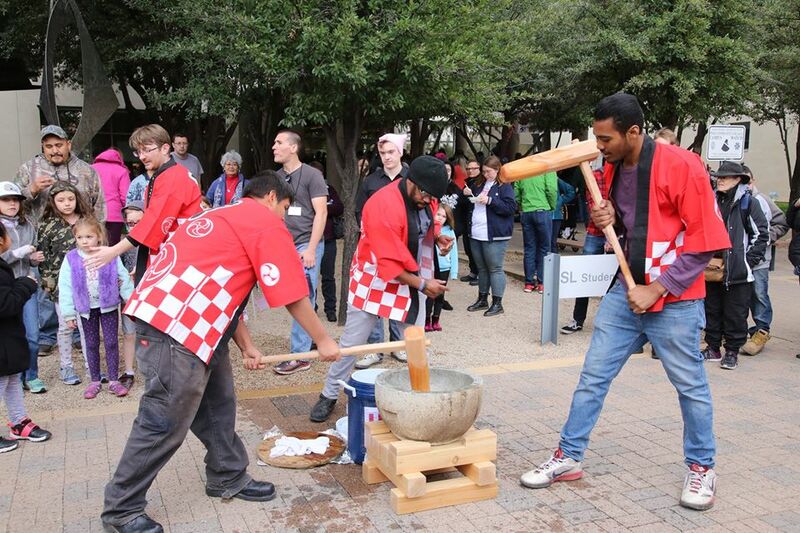 Mochi pounding was demonstrated outside. 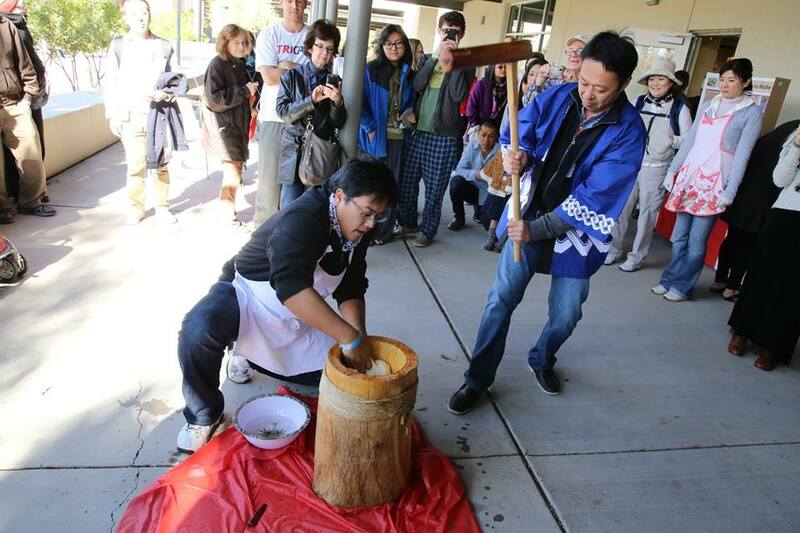 Sensei Masayuki Kobayashi from Japan explained the mochi pounding and making process. Over 1000 people attended, despite the rainy weather. New this year: PCC Art /Hiro Tashima ceramics demo and Mari Kaneta‘s Suzuyuki Kai traditional kabuki dancing on stage. Dance troupe is pictured below. 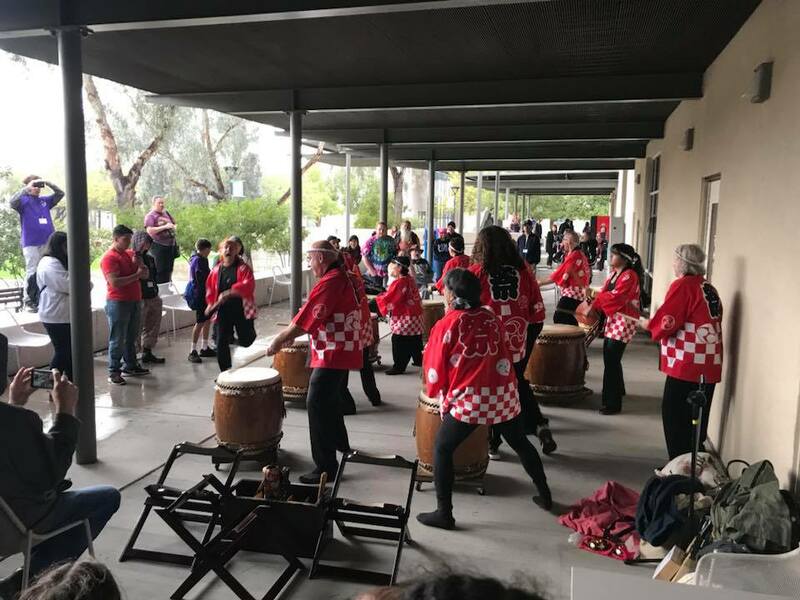 More photos at : http://blogforarizona.net/photo-gallery-of-2018-tucson-japanese-festival/. Tucson Origami Club founder/teacher M. Fumie Craig created beautiful plant and animal displays for this exhibit. Origami LAFF teacher Mary Ellen Palmeri contributed a few creations as well. Photos courtesy of M. Craig. Showcasing these activities at the Otaku Festival on March 4 were — two anime screenings, tin foil art creations by Shawn Richards, modern doll displays, origami taught by M. Fumie Craig, and a lively cosplay dance performance by Lani Villanueva (joined by Louis Rivera, organizer of the festival). Authentic curry stew and inarizushi were on sale, along with other Japanese snacks (i.e green tea pocky and senbei). 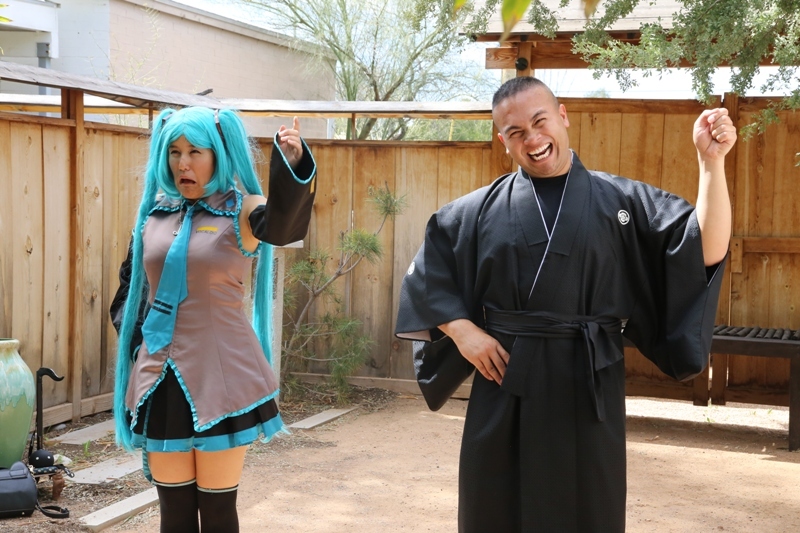 Lani’s cosplay character is Hatsune Miku. SAJCC members participated in the Day of Remembrance at Tucson Desert Art Museum, in commemoration of the signing of E.O. 9066 by FDR, which set into motion the relocation & internment of about 120,000 Japanese Americans. 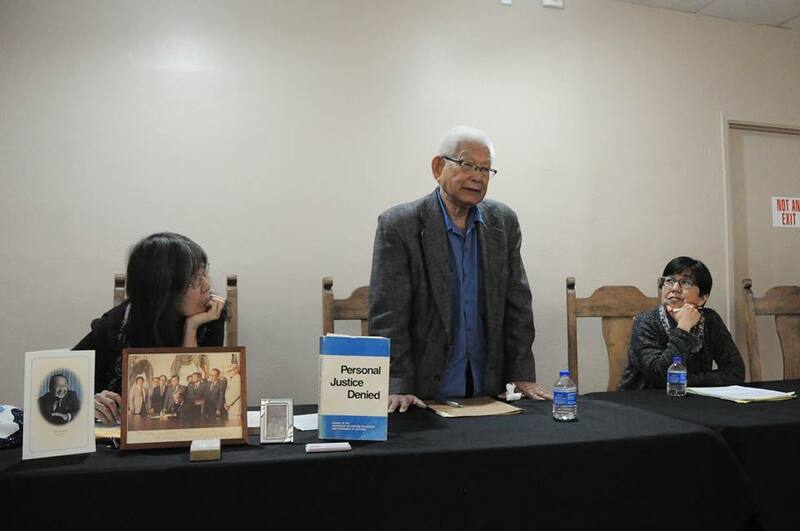 Retired East Asian UA Professor Min Yanagihashi, ASU Professor Kathryn Nakagawa (whose family was interned), and former U. S. Senate Legislative Aide Carolyn Sugiyama Classen, JD participated in a panel discussion about the Pearl Harbor attack, the signing of E.O. 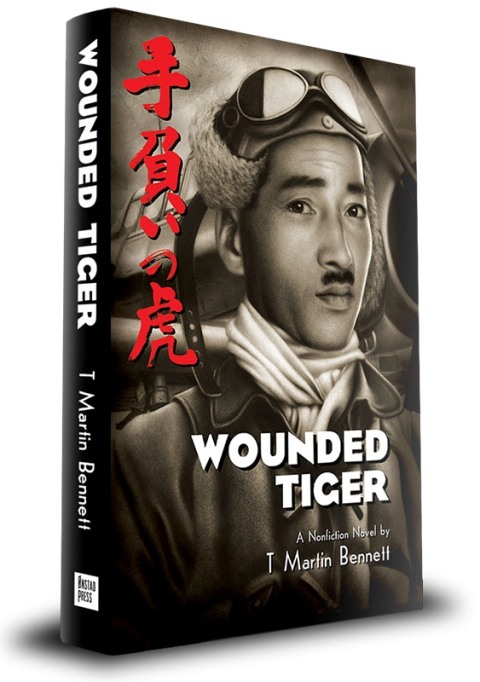 9066, the internment camp roundup during WWII and the aftermath, to seek redress. Min and Kathryn gave historical perspectives, and Carolyn related her insider’s view of working with Senior Hawaiian U.S. Senator Daniel K. Inouye, in the creation of the National Commission on Wartime Relocation and Internment of Civilians. The Commission found that a “grave injustice” had been done to the Japanese Americans during WWII, and recommended an apology from the US President, and redress of $20,000 per internee. President Ronald Reagan did finally issue an apology in 1988 and redress was finally paid to over 82,000 recipients, but many internees had already passed away. ​​​​Gambatte! Legacy of an Enduring Spirit: Triumphing over Adversity. 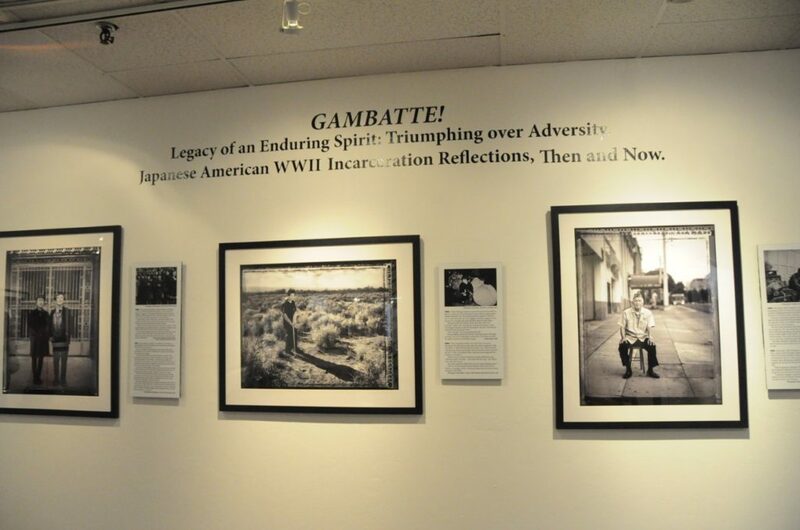 Japanese American WWII Incarceration Reflections, Then and Now (photography by Paul Kitagaki Jr.) Kitagaki was supposed to be present on the Day of Remembrance but his flight from California was cancelled due to winter storm weather. 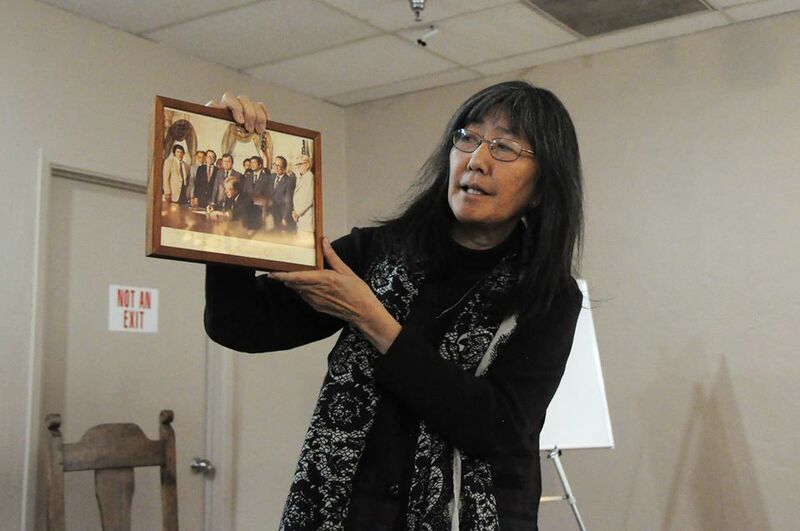 Art of Circumstance: Art and Artifacts Created by Japanese Americans Incarcerated During WWII. 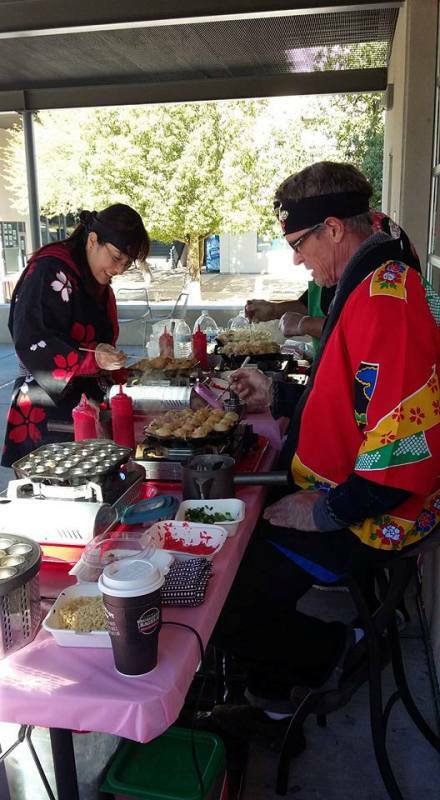 Tucson Japanese Festival (new name) was held on January 14, 2017 at PCC Downtown, 1255 N. Stone Ave. to celebrate the New Year. For the 4th year, SAJCC sponsored a New Year’s festival featuring numerous performances. Origami was taught and Go, fukuwarai and kendama games were played upstairs again in the campus center, and ikebana and bonsai (Tucson Bonsai Club) were on display. 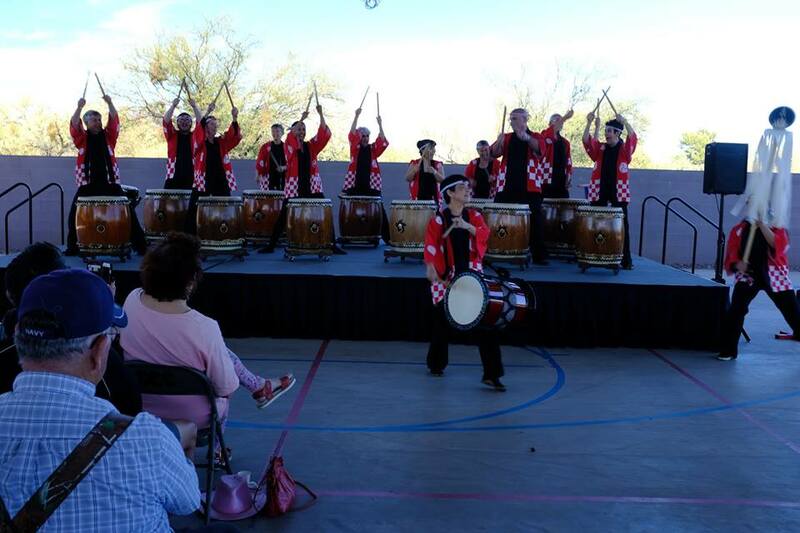 Odaiko Sonora and Yume Japanese Gardens of Tucson were festival co-sponsors. There were more performers this year: Odaiko Sonora, Japanese media presentation by Alex Coulombe, Tucson Kendo Kai, Pianists Shiho Takeda & Aika Tatebe, violinist Ayla Moreno (5 year old), Yuki Ibuki (tenor song), Yosakoi Dancers (Yurika Tatebe & friends), Tucson Japanese Language School choir, Paul Amiel (shakuhachi) and Akiwa Abe Brown (koto), Sonoran Aikikai, Ken Koshio & K2 Enterprise (taiko) from Phoenix (new), Lani Villanueva (anime presentation), J’s Martial Arts Performing Academy from Mesa. Green tea, senbei and mochi samples were provided to over 700 attendees. 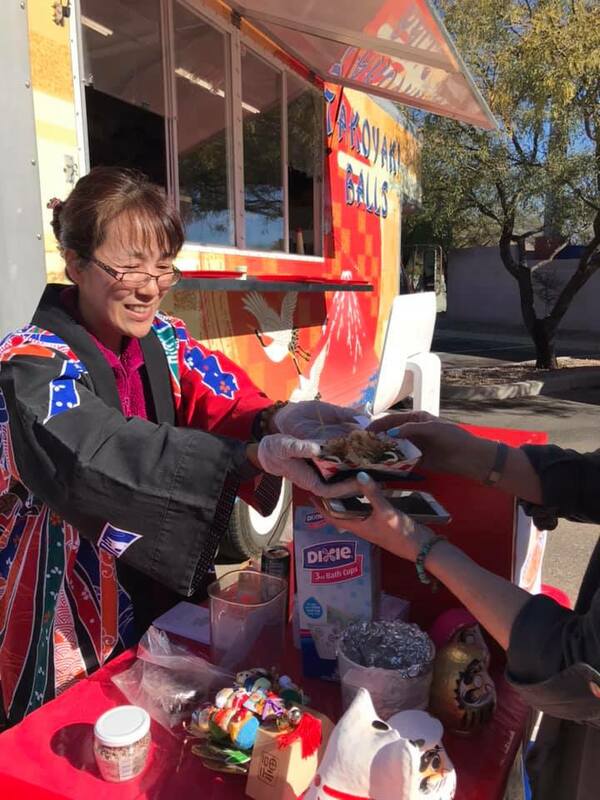 Takoyaki and ramen were sold by Tomomi Katz at her food booth, and onigiri (musubi) were sold by the Tucson Japanese Language School. L to R: Interim SAJCC Director Yuki Ibuki, Tucson Origami Club founder M. Fumie Craig, ret. UA Professor Min Yanagihashi, PCC Chancellor Lee Lambert, SAJCC Editor Carolyn Sugiyama Classen, Suke Nakata (stage manager), SAJCC founder Ross Iwamoto. Yuki, M, Min, Carolyn are currently on the SAJCC Council and helped plan this event and others in the past. Articles below this line are past events posted in 2012 and afterwards, in reverse chronological order to 2016. 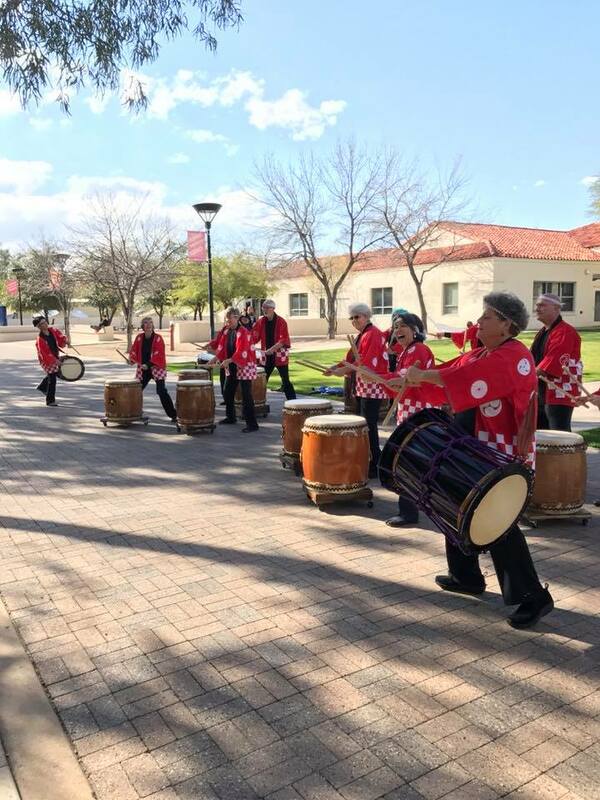 SAJCC sponsored a larger Mochitsuki on January 9 at Pima Community College Downtown, 1255 N. Stone Avenue, with support from Yume Japanese Gardens of Tucson, Odaiko Sonora, and PCC Downtown. The event drew more than 600 attendees and had many more exhibitors and food vendors (i.e. takoyaki booth, Fat Noodle Truck, Sky Islands HS Japanese class serving musubi, PCC Diversity Club selling Japanese snacks, Sandyi Oriental Market, etc.) Event Chair was Wayne Tanaka. Oshiruko sweet soup with mochi sample and green tea were served. On the stage were performances from Odaiko Sonora, Tucson Kendo Kai, kyudo (archery), an anime presentation by Lani Villanueva, a chado tea ceremony, singer Yurika Tatebe. Upstairs were tables with Tucson Origami Club, Tucson Go Club, kendama, fukuwarai. Tucson Repertory Orchestra (TRO) Director Toru Tagawa is originally from Hiroshima, Japan. 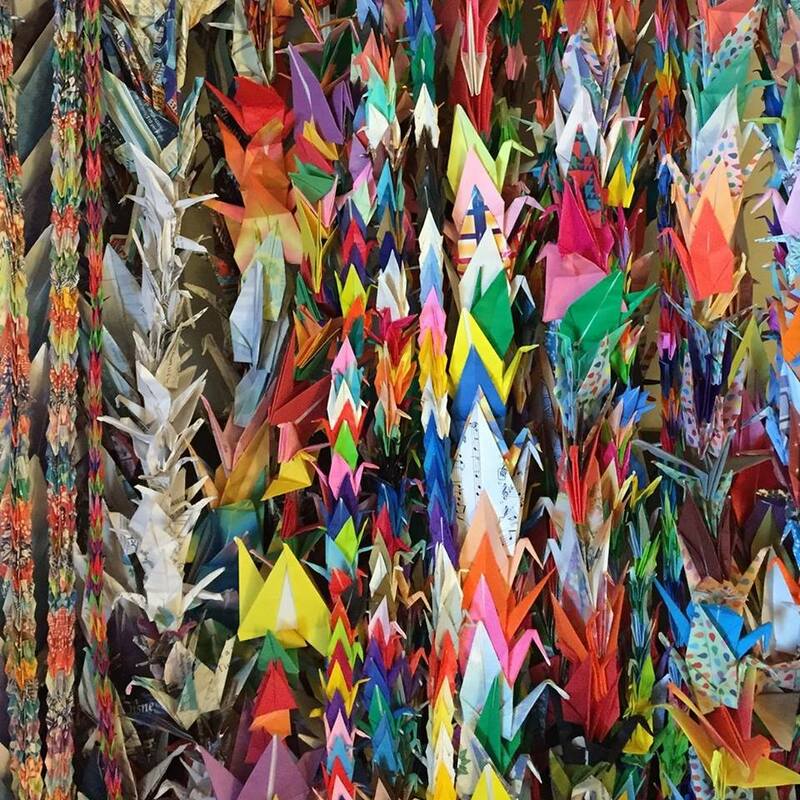 He and his violinist wife Laura Tagawa planned a concert trip to Hiroshima and Okayama in October 2015 and Laura decided to ask the community for help in folding 1,000 origami paper cranes to take to the Children’s Peace memorial in memory of Sadako Sasaki, who had tried to fold 1000 cranes prior to her death at age 12 (from radiation sickness). 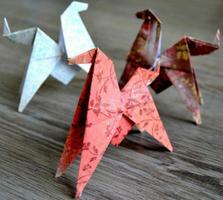 On September 12, Laura asked the Tucson community (including Tucson Origami Club, Origami LAFF and So. AZ Japanese Cultural Coalition) for help. We all pitched in and within 2 weeks had folded over 3,000 cranes, through the help of the owners of Snow Peas restaurant (1402 S. Craycroft Rd.) which was providing folding space, a large “fishbowl” to hold the cranes, and origami paper for pickup. Several folding sessions were held there for the community to drop in and help. The final count of strung cranes was 3012, which were shipped in an empty tuba case to Japan. There were several sizes folded from very tiny 1″ x 1″ to larger 6″x 6″, but the common size was 3″ x 3″, plus others, some from recycled paper. 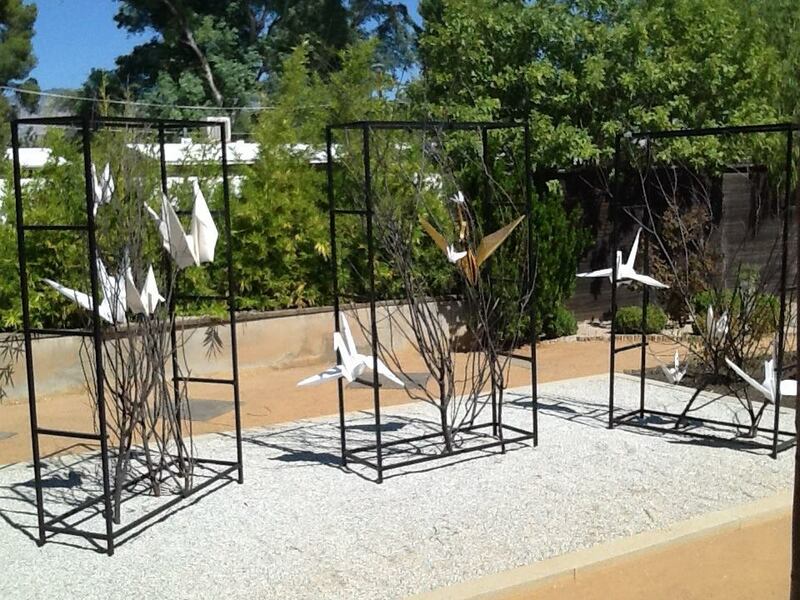 Congratulations to Laura Tagawa, Toru Tagawa and the TRO for this gesture of peace from the Tucson community, which were presented to the Hiroshima children’s peace memorial on October 14, 2015. Photos courtesy of Laura Tagawa. More info on TRO at www.tucsonrepertoryorchestra.org. 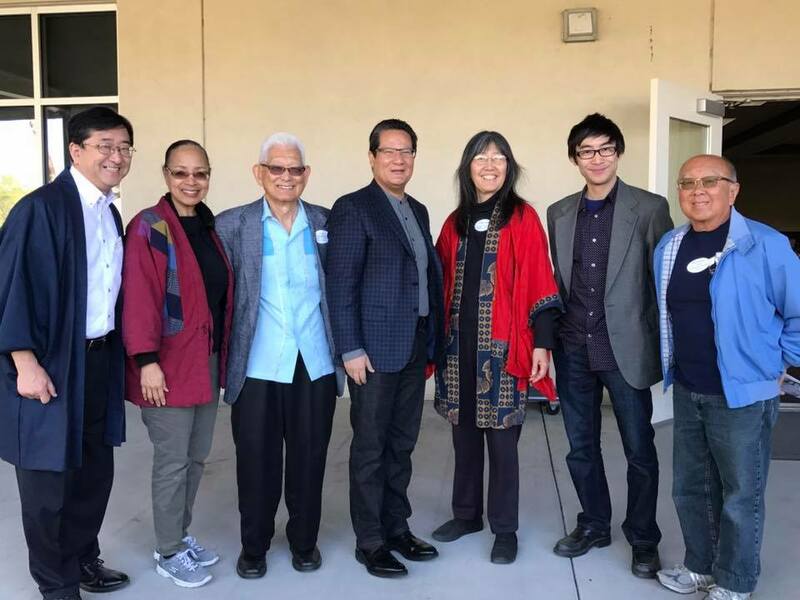 It was the vision of Founder/1st Director Ross Iwamoto that our SAJCC and friends sponsor a mochi pounding/tasting festival for Japanese New Year’s. 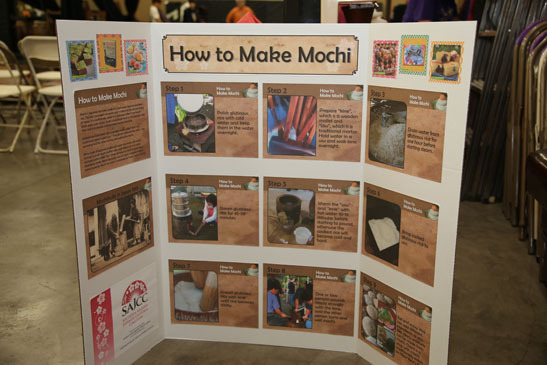 The first successful mochitsuki event was held at Yume Japanese Gardens, 2130 N. Alvernon Way on January 4, 2014. Executive director of Yume Gardens Patricia Deridder and M. Fumie Craig were in charge, and about 200 people attended. Odaiko Sonora performed on their taiko drums and Paul Amiel played his soothing shakuchachi flute. Photos below of 1st Mochitsuki, courtesy of Heather Nagami from FB page. 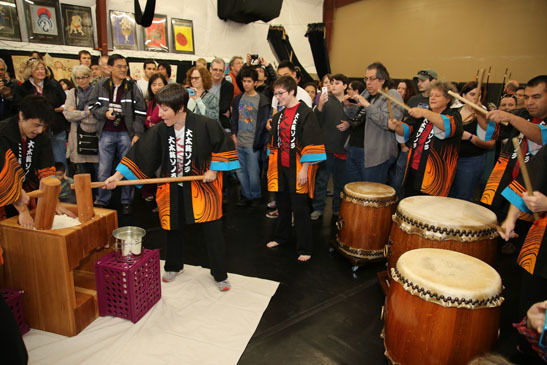 The second one was held on January 10, 2015 at Rhythm Industry Performance Factory (1013 S. Tyndall Avenue), home of Odaiko Sonora taiko drummers, which was even more popular, with double the amount of participants. UA Kyudo Club also participated on stage, and there was an anime presentation, songs by Yuki Ibuki and Okiraku (shakuhachi,koto,shamisen trio). A stone usu and wooden kine were borrowed from Phoenix for the first event. 2015 Event coordinator was Heather Nagami and her husband Bryan Barnes built a beautiful wooden usu (mortar) and two kines (mallets) for the second. Happy New Year! 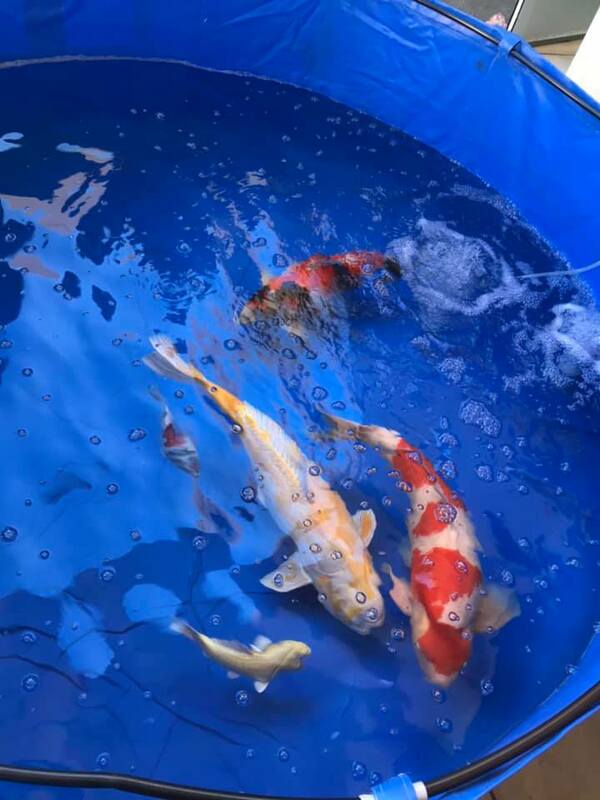 Photos of 2nd Annual event here: http://blogforarizona.net/photo-gallery-of-2nd-annual-japanese-new-years-mochitsuki-celebration/. Additional photos below courtesy of freelance photographer James Tokishi. 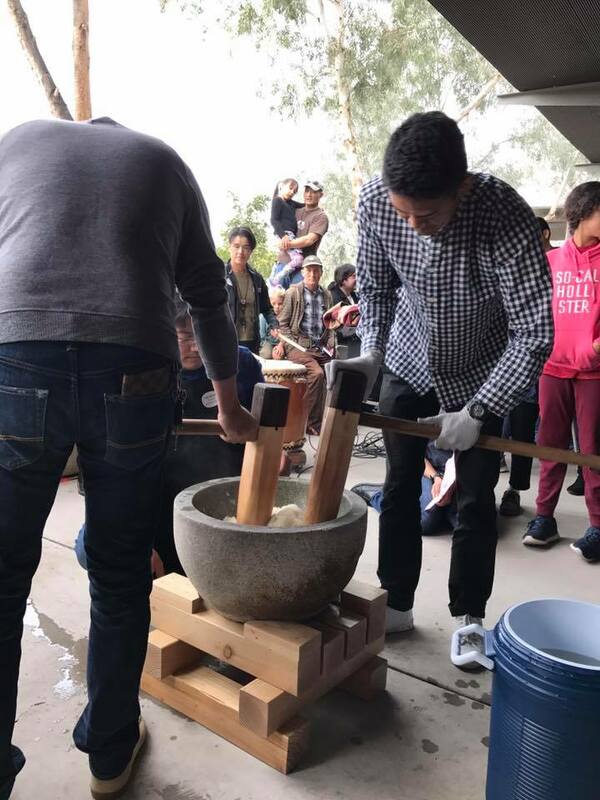 For even more photos of the Mochitsuki, go to our Facebook page: www.facebook.com/tucsonmochi/ (public, you don’t have to sign in to FB). On March 20, 2013 86-year old Tucson educator Dr. Henry “Hank” Oyama passed away. He was a former teacher at Pueblo High School, then went on to a career in bilingual education at Pima Community College, retiring as Vice President Emeritus after 22 years. He was interned at age 15 in the Poston Internment Camp in Arizona in May 1942 (along with his mother and sister), and also challenged the Arizona anti-miscegenation law in 1959, in order to marry his Caucasian college sweetheart Mary Ann Jordon. 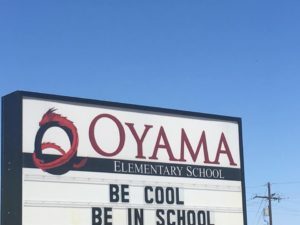 An elementary school in Tucson was named after him in 2003. Read more in obituary in Arizona Daily Star. Owner/Executive Director Patricia Deridder had a dream (yume) to create a beautiful and tranquil Japanese garden in her new home of Tucson. Originally from Belgium, she had lived for 15 years in Japan as a young woman, and had learned to speak Japanese and the art of ikebana. Visit her gardens at 2130 N. Alvernon Way (open daily except for the summer months, after Children’s Day (May 5) through September 30). More at www.yumegardens.org. 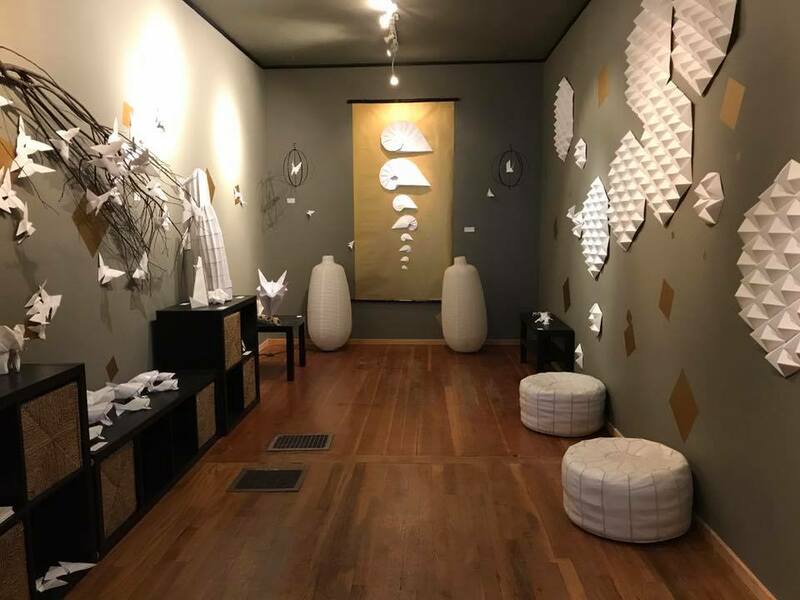 There have been a number of Japanese art and cultural exhibitions & workshops, as well as concerts & plays at Yume gardens since the opening in 2013. 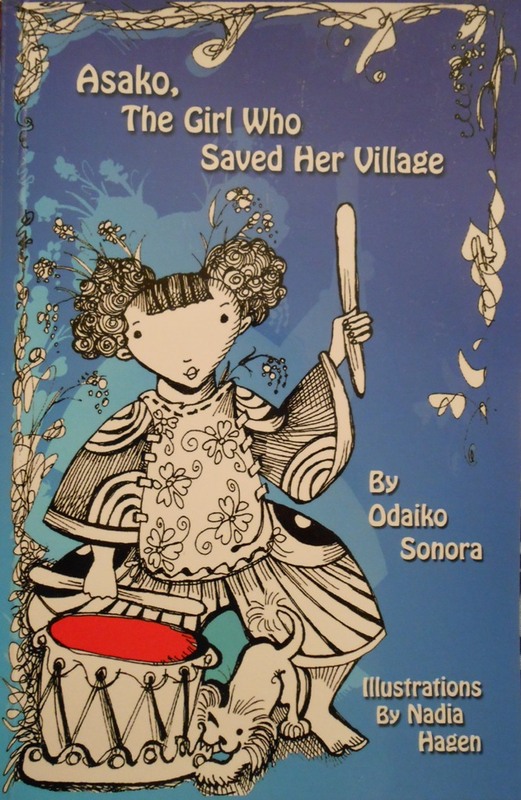 Local children’s book by Odaiko Sonora about taiko drumming and a tsunami, published in 2012, a year after the devastating March 11, 2011 tsunami in Sendai, Japan. This book was released at the annual Tucson Festival of Books in celebration of Odaiko Sonora’s 10th year anniversary . Contact Odaiko Sonora to purchase a copy of their book at info@tucsontaiko.org. 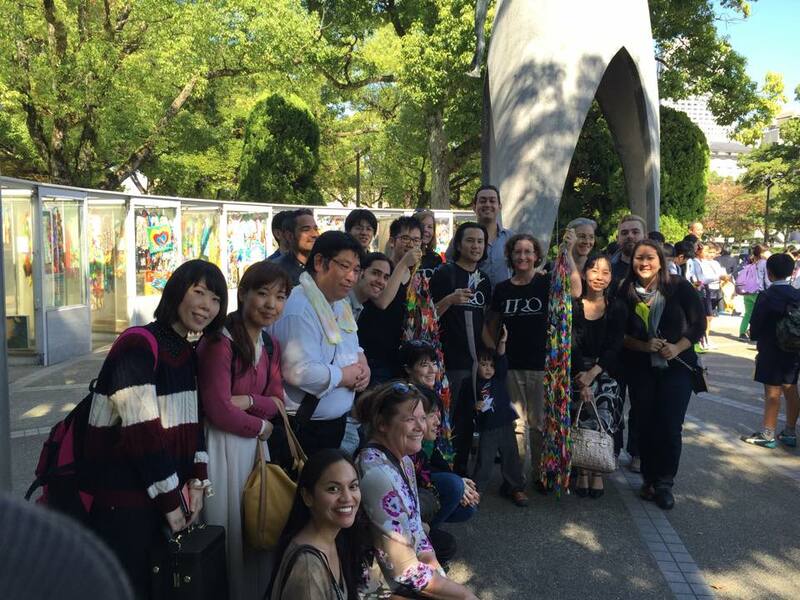 Editor Carolyn Sugiyama Classen wrote an article in August, 2012 for an online journal Discover Nikkei (about Japanese migrants & their descendents) entitled “My International Family” (click here). She writes about how her Japanese American family (raised in Hawaii) married mostly foreigners. This national website is a resource for everyone of Japanese descent. Interested in learning how to fold beautiful & creative origami (Japanese paper folding) or play hanafuda (Japanese flower 48 card game)? 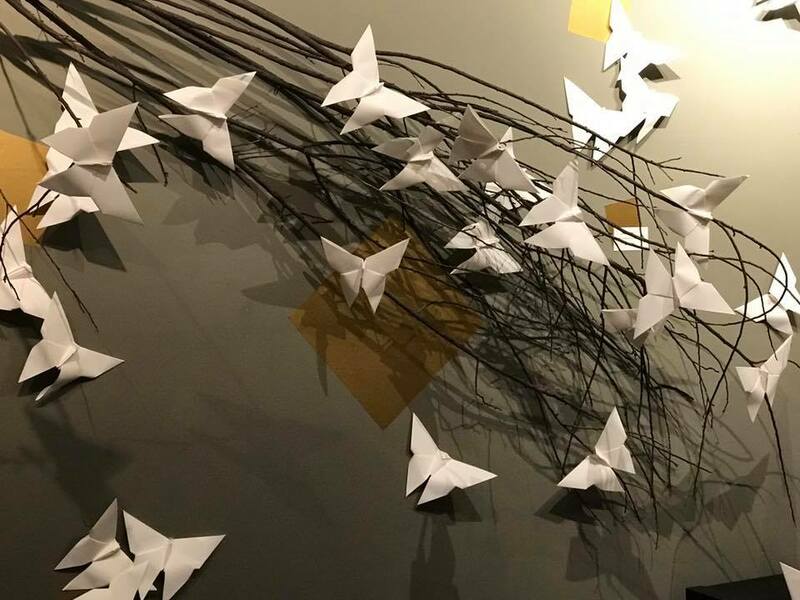 Come to the Tucson Japanese Culture and Origami MeetUp Group (now called Tucson Origami Club) on the 1st Saturday of each month at 10 a.m. at Dao’s Tai Pan resturant, 446 N. Wilmot Rd. (north of Broadway Blvd.) in Tucson. 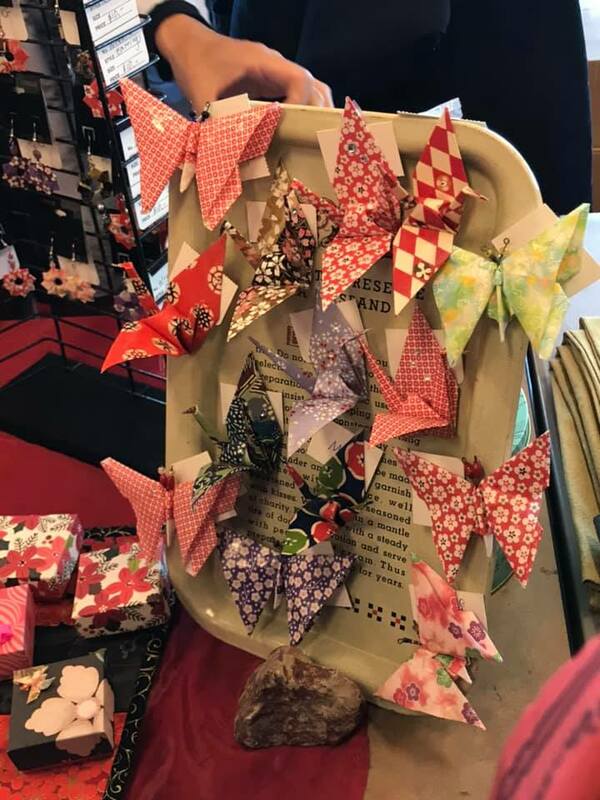 Founder/Nisei M Fumie Craig has been hosting this origami club for over 10 years, and has taught origami at numerous venues, including the Pima County Public Library. 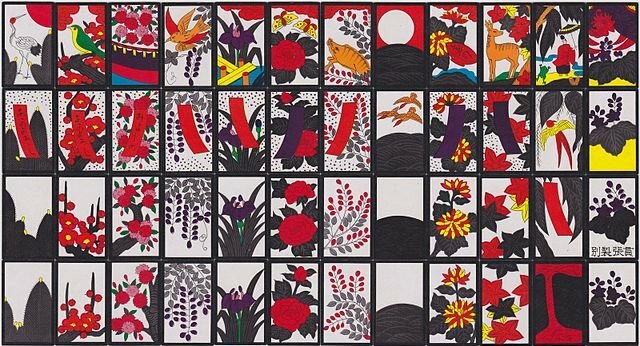 Sansei Carolyn Classen teaches hanafuda, which she learned as a child to play in Hawaii, where the game is very popular. 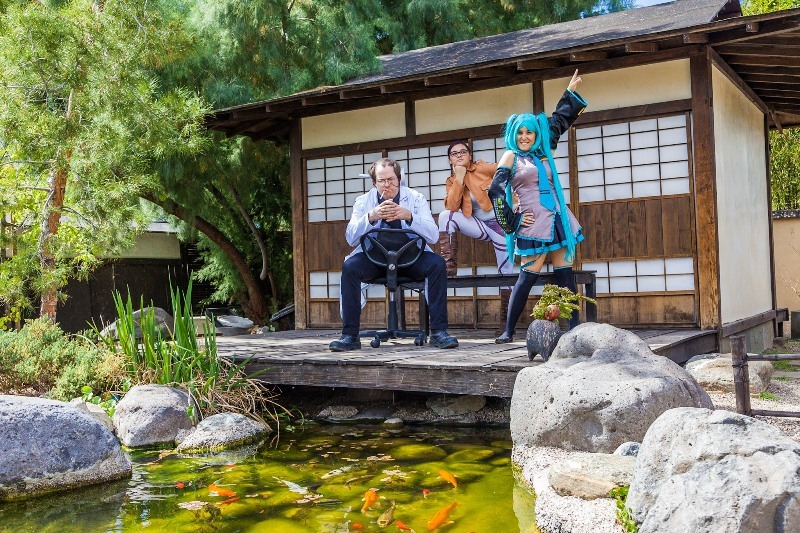 She has taught it also to the Asian Pacific American Student Affairs group at the UA, at several Japanese Speech Contests, Yume Gardens, and at the 2nd Annual Tucson New Year’s Mochitsuki. Near Tucson, Arizona is the Gordon Hirabayashi Recreation site on Catalina Highway up to Mount Lemmon, turn off at mile post 7. There are a few concrete remnants of the prison buildings, plus the information kiosk (photo below). Gordon Hirabayashi was a young Japanese American from Seattle, Washington who was imprisoned in the prison camp that existed there during WWII. He challenged his unlawful imprisonment (Japanese American internment) in U.S. vs. Hirabayashi, 320 U.S. 81 (1943). Read more in wikipedia. 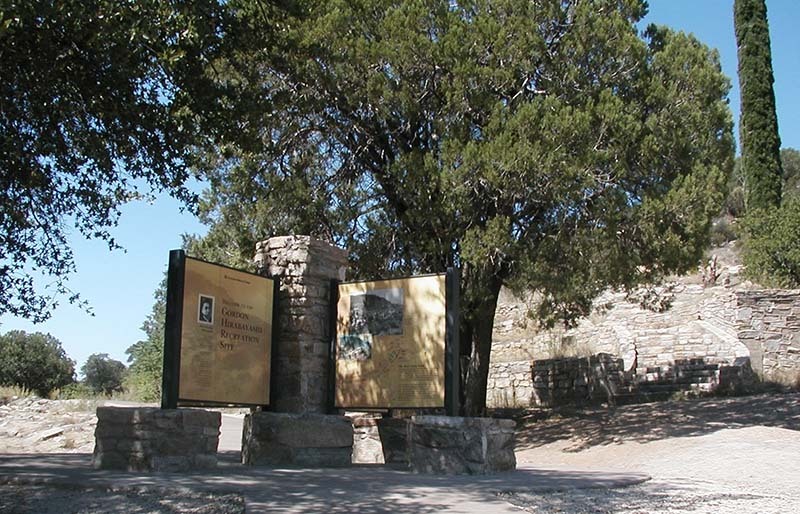 The Coronado National Forest named the site after him in 1999.